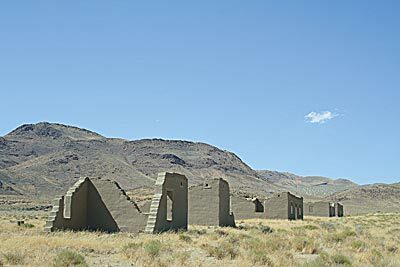 FT. CHURCHILL, Nev. — Stripped of roofs, windows and doors, stark adobe ruins remain of buildings that once comprised Nevada’s first military installation. Strife between native Paiutes and white settlers in 1860 resulted in the establishment of Fort Churchill east of Carson City. Now preserved as Fort Churchill State Historic Park, the outpost saw nearly a decade of active use during turbulent times. Fort Churchill lies about 390 miles from Las Vegas. Southern Nevadans traveling north on U.S. 95 toward Reno turn at Schurz onto Alternate U.S. 95 through Yerington to reach the park. Follow the short, paved park road leading to a visitor center near the ruins. RENO, Nev. — The cleanup of environmental contamination at a future retail site on the Reno-Sparks Indian Colony was completed using a $950,000 federal loan from the State of Nevada Brownfields Program, made possible by a $2 million grant from Environmental Protection Agency Region 9 to the Nevada Division of Environmental Protection (NDEP). LAS VEGAS — Laurelle Hughes, president, High Desert Resource Conservation and Development Council, Inc., and Ron Davidson, acting state conservationist for the USDA’s Natural Resources Conservation Service in Nevada, have signed an agreement to partner on five new projects in southern Nevada. Good afternoon to everyone in the Department of Conservation and Natural Resources. Following is the Director’s Office update for August. I hope you are having a great summer. Three of State Park’s seasonal lifeguards had their training tested in late July. Samuel Lawrence, Alisa Johansson and Dennis Sanders rescued two people from the icy waters of Lake Tahoe at Sand Harbor. One person died in this incident; however, the quick work of Sand Harbor’s lifeguards was instrumental in preventing further tragedy. I would like to personally commend all of Sand Harbor’s on-duty lifeguards on their response in this situation. WASHOE VALLEY, Nev.– Join guest chefs and park staff for a traditional night of Dutch oven cooking and tasting at Washoe Lake State Park on August 16. Bring an apron and be prepared to do some cooking. A Dutch oven is a thick-walled cast iron cooking pot with a tight-fitting lid. White hot coals are placed on top as well as below the Dutch oven to provide a more uniform internal heat. The program is limited to 40 participants. Call 775-687-4319 to reserve your space. DAYTON, Nev.– Each year people become lost, stranded or worse in the outdoors. This program will introduce you to the GPS (Global Positioning Systems) and will explore what GPS is, how it works and how it can be used to navigate in the outdoors. This free program will be held on August 16 from 9 a.m. to noon at Dayton State Park. A limited number of handheld GPS units will be available for the program, so participants are encouraged to bring their own GPS unit. Please call 687-5678 to reserve a space. Everyone will meet in at the group pavilion. 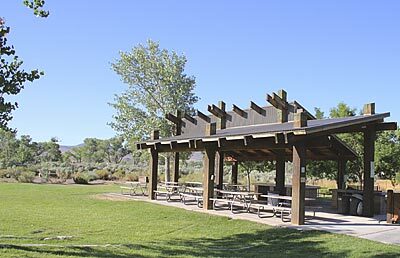 Dayton State Park is located in the town of Dayton, one of Nevada’s very earliest Comstock settlements. The Carson River flows through the park and offers fishing and bird watching. The Rock Point Mill, built in 1861, was once used to process rich silver ore from nearby Virginia City—remnants of the mill are still visible within the park. Picnicking, camping, hiking and group use facilities are available. 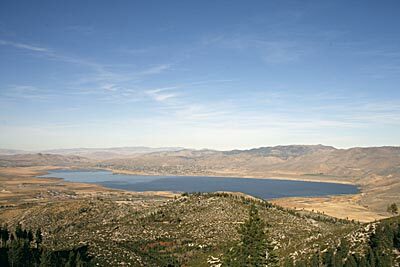 Dayton State Park is located on U.S. 50, 12 miles east of Carson City. You are currently browsing the Nevada Dept. of Conservation & Natural Resources News blog archives for August, 2008.